Leonardo da Vinci was already in his sixties when he was prevailed upon by King Francis I to move to the French court at Amboise in the Loire valley. The King provided the Château du Clos Lucé, 300 metres from the royal Château d’Amboise – “here you will be free to dream, to think and to work”, said the king, and it was here that da Vinci was to spend the remaining three years of his life, working on perfecting his inventions, his creative mind never still. 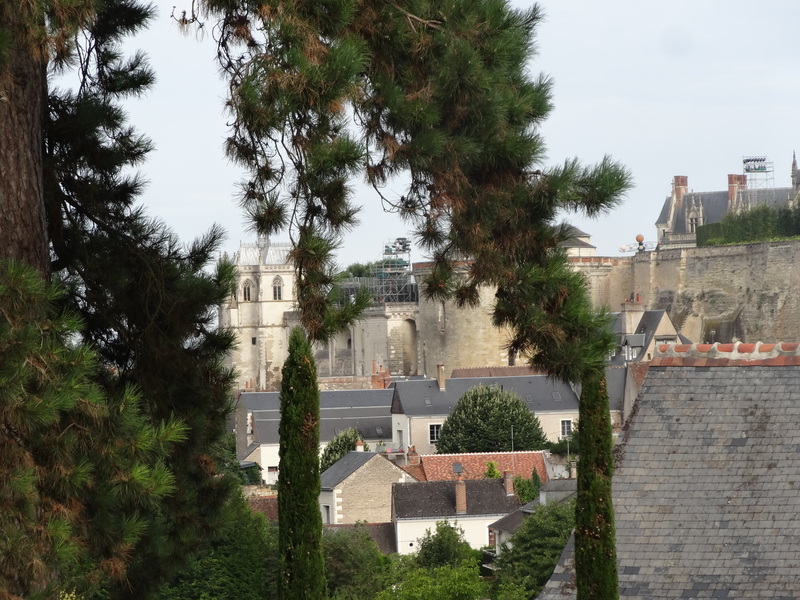 The view from da Vinci’s bedroom of the Chateau d’Amboise and the Church of St Hubert, where he was buried. Da Vinci was a true Renaissance man, not just the artist renowned for “The Last Supper” and “Mona Lisa”, but a sculptor, engineer, inventor, architect, anatomist, botanist and creator of lavish court festivities. 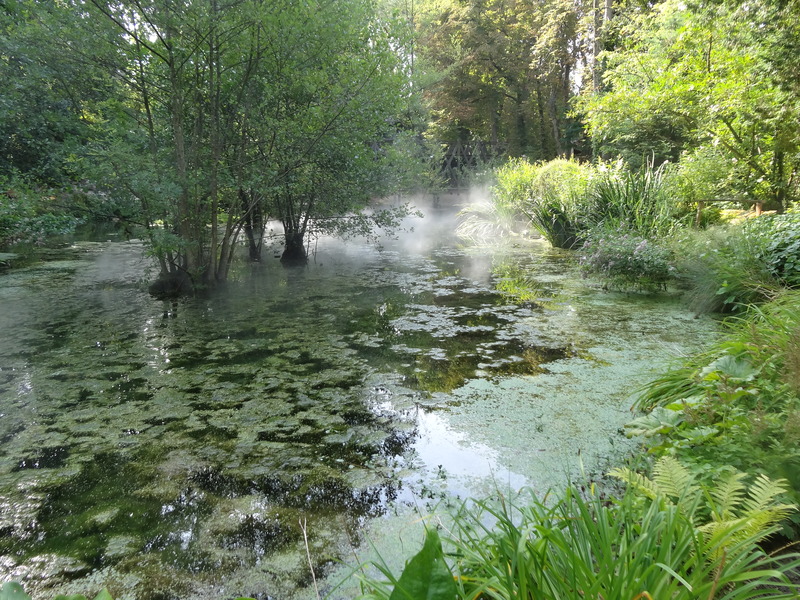 At Clos Lucé today, reconstructions of his many inventions have been developed from his drawings – a swing bridge, a flying machine, parachute, a development of the Archimedean Screw which pumps water uphill – all displayed in the parkland surrounding the Château. 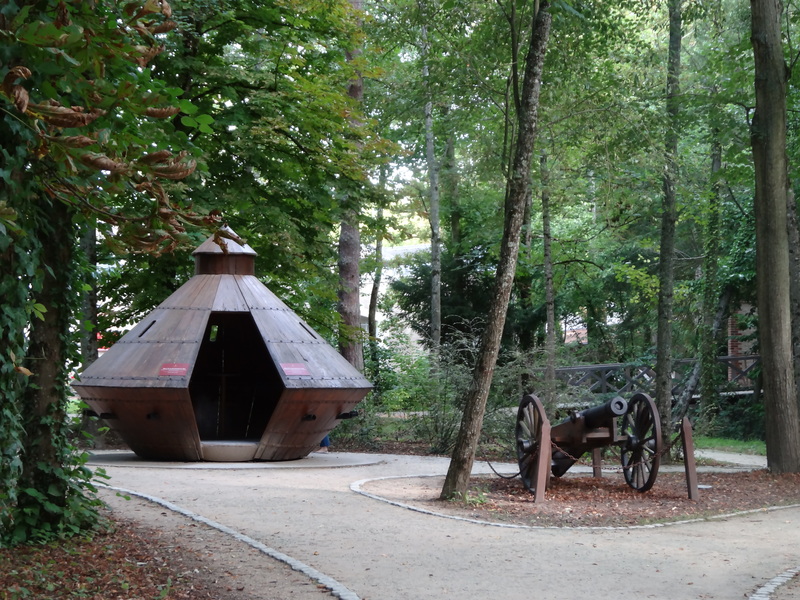 Some of the reconstructed da Vinci inventions – the tank and the cannon in the Park. His bedroom on the first floor looked onto the garden and onwards to the impressive fortifications and royal Castle – a view he came to love.Today, his bedroom window overlooks a reconstructed Italian-style Renaissance garden, with pond bordered by cypress trees, topiaried box and red ‘Mona Lisa’ roses. 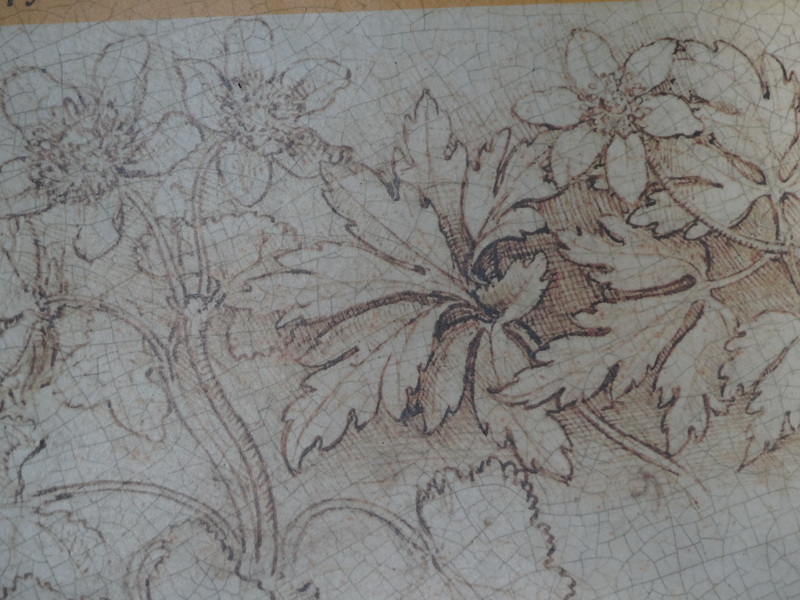 a landscape is created which brings to life his botanical drawings, as important to him as the necessity to study anatomy for his paintings. Mist rises from the still waters of the lake, crossed by a two-tier bridge, which Leonardo believed would help the public health in towns ravaged by the plague, with two separate streams of traffic. 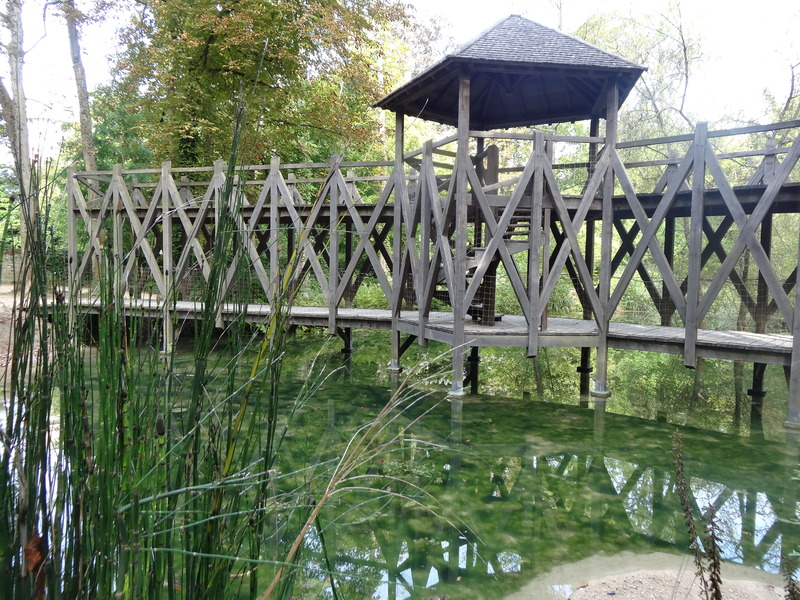 The reconstructed bridge took 1500 hours to complete by a dozen French Master Carpenters. Further on, fast flowing waters remind us of da Vinci’s pioneering study of currents, whirlpools and waves, and plants are specially chosen which feature in his many sketchbooks and his paintings. An early morning visit means we can sit awhile and absorb the atmosphere in this magical place. Leonardo da Vinci was well aware of the symbolism of plants – lush foliage in his “Leda” symbolised fertility and columbines in his “Virgin of the Rocks” represented love. It is said that the King valued the genius of Leonardo so much, that he visited him often via an underground tunnel linking the two Chateaux. It is also said that he was present at Leonardo’s death, cradling his head in his arms, on 2nd May 1519. 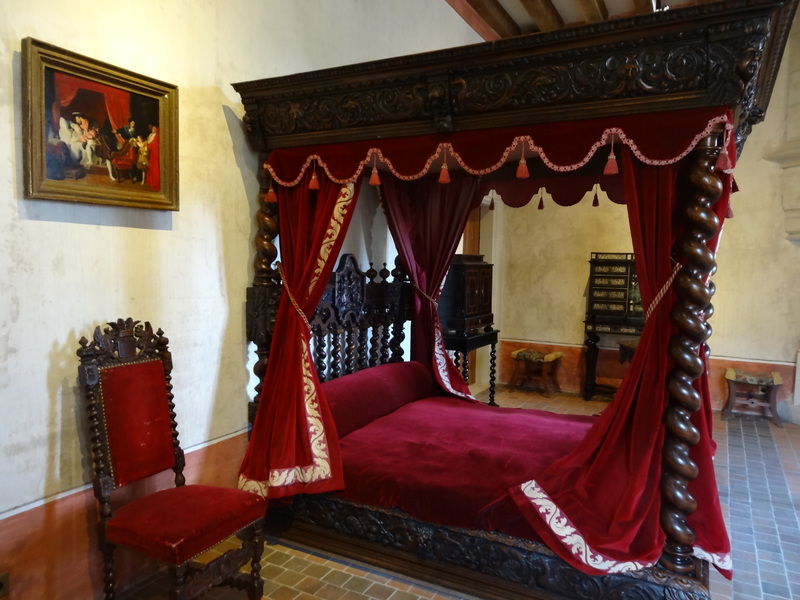 Leonardo da Vinci’s bedroom where he died in 1519. 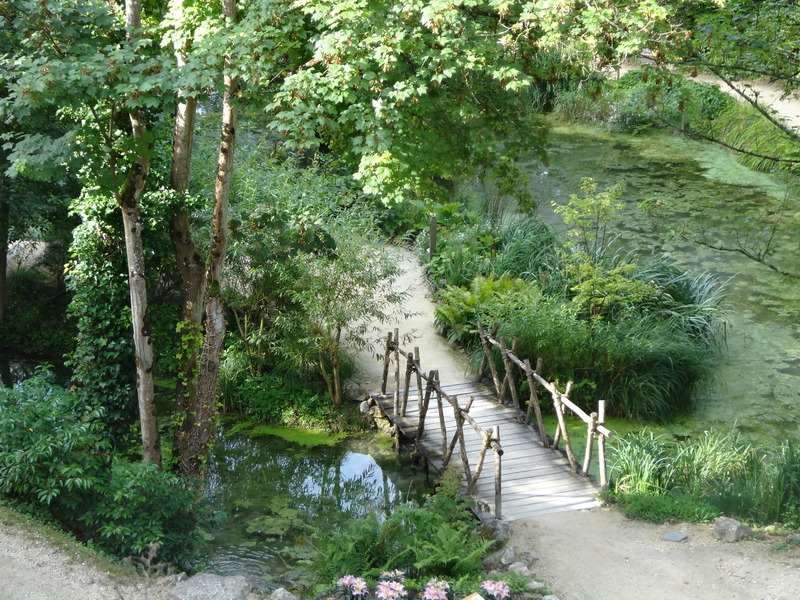 I almost didn’t visit Clos Lucé; the queues can be off-putting. But get there near opening time and experience the calm atmosphere within and outside the Chateau. I don’t think you will regret it. I’m pretty sure I visited there during my undergrad term abroad (in Blois)…of course, I guess I’m getting old where I can’t remember for sure. It would have been in February or early March though, so I’m sure it appeared less vibrant. 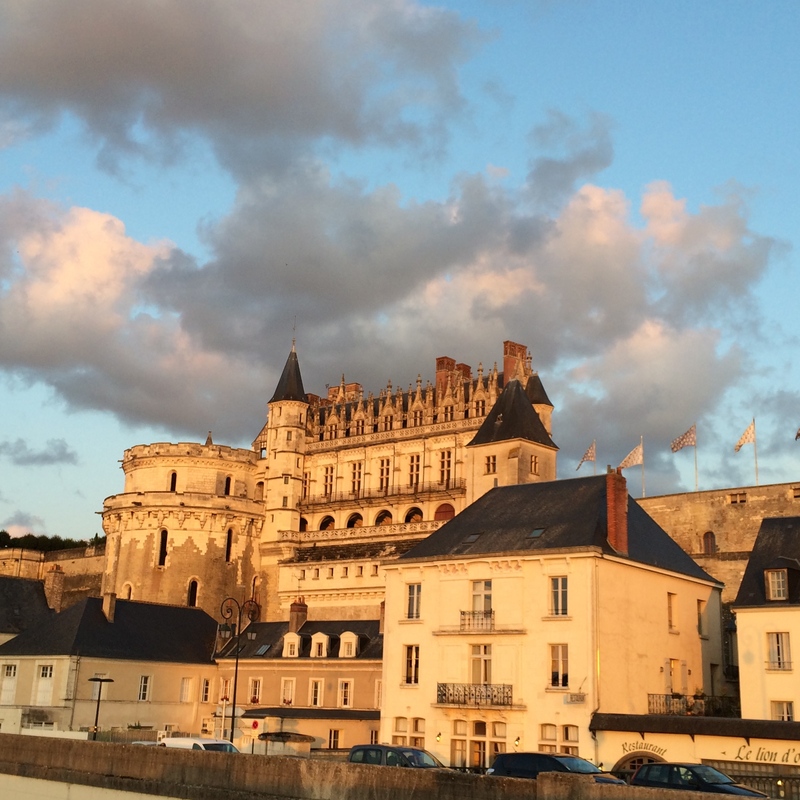 Yes, it’s not far from Blois, so most likely you did visit it. What a lovely area to spend a term in .. maybe as an undergrad you might not have thought so. A lot of work has been done recently in the garden. 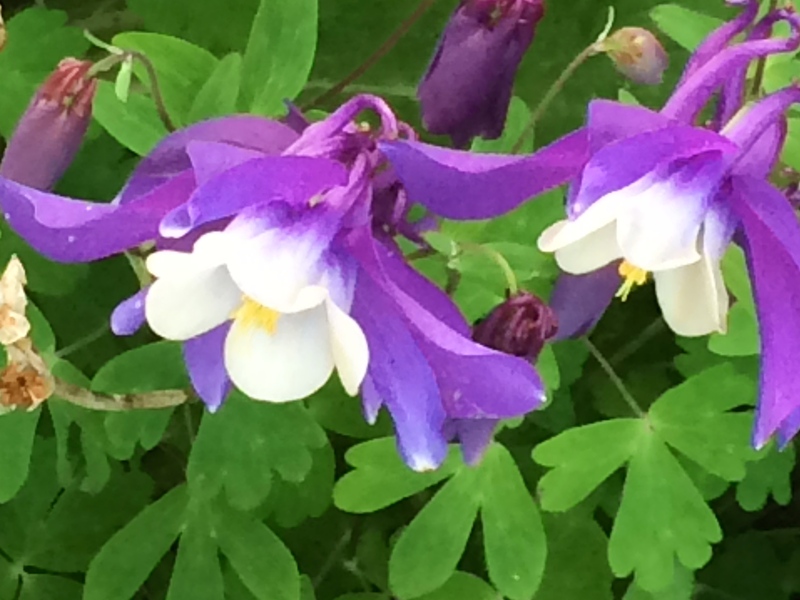 That sounds familiar – just plants not bugs! Always a pleasure, Jim, and glad you enjoyed it. Breath taking! Thanks again for another wonderful tour. Many thanks, glad you enjoyed it. It’s in a lovely setting & the garden is a fitting tribute to da Vinci & his creativity I think. Wonderful post and photos! 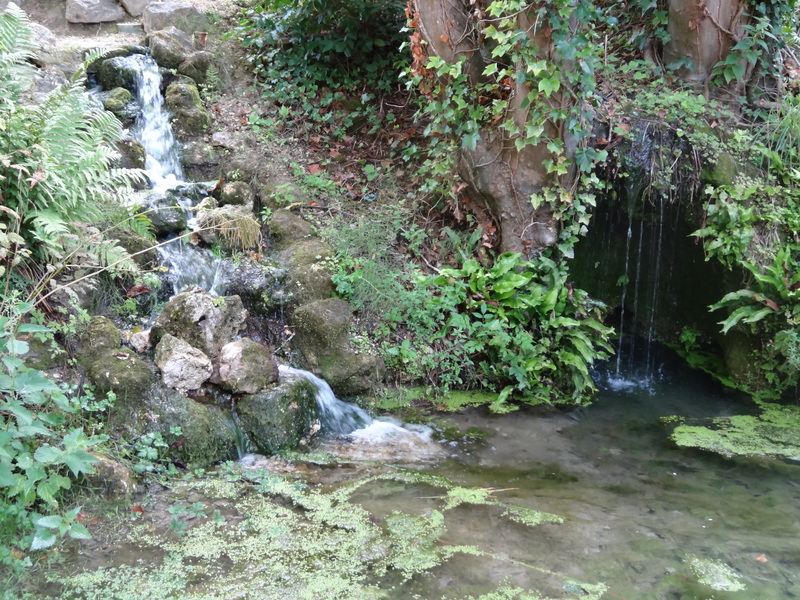 We were in Blois but missed these gardens. thank you. Thank you so much. I probably would have missed it too but we were staying in the same street in Amboise. 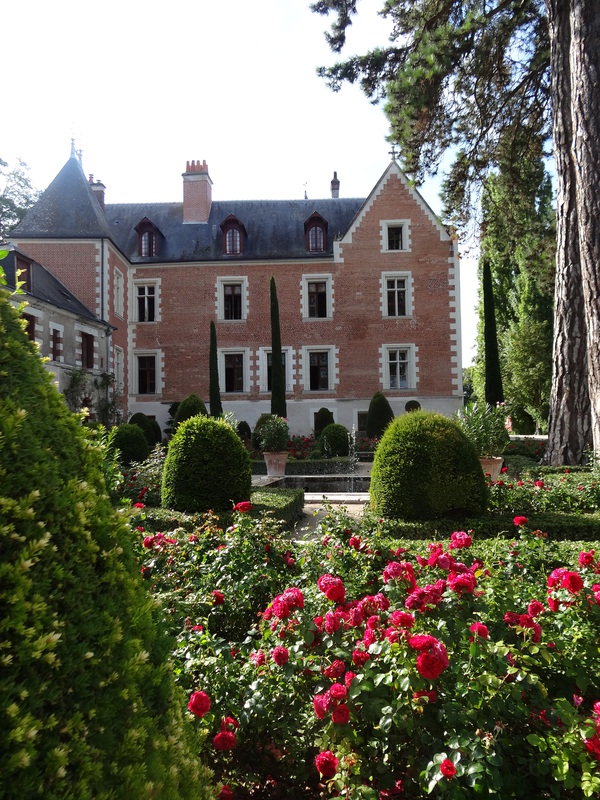 So many gardens (& Chateaux) to visit in the area, full of history. Your photography is impeccable as usual. Thank you for sharing your travels.Leonard De Vinici was a visionary.The woodland areas are enchanting. The double decker bridge was inspiring. Many thanks Honey. I loved the woodland area most of all. Da Vinci was indeed a visionary, the exhibitions in the Chateau & in the grounds reminded me of how great his genius was. Many thanks Julie. I loved the place, so quiet and still in the early morning, and so much to explore and learn. Thanks so much – glad you enjoyed it! It was a last minute visit before travelling onwards & very glad I managed to do it. Your words and photos are so interesting. I didn’t know all of this about da Vinci’s life! Thanks Cindi. I was surprised too to learn that he spent his final years in Amboise. Many thanks Sylvia. I really enjoyed the visit. The Chateau belonged to the King, so four-posters would have been there, though I doubt if this is the original one… must find out. What a marvelous post. Thank you very much.